At the turn of the century, public transportation transformed Roslindale from a sleepy farming community into a desirable streetcar suburbs that appealed to people who wanted to live in greener surroundings. Today, Roslindale is full of green spaces from Arnold Arboretum to the George Wright Golf Course. In addition to parks and gardens, Roslindale is an urban oasis that offers easy access to downtown Boston and the best of city living. Roslindale Square, the heart of the neighborhood, received a National Trust for Historic Preservation Main Street award. The redevelopment of the square is a fine example of the value of historic preservation and economic revitalization policy. Make sure you visit Adams Park while exploring Roslindale Village's bustling small businesses. Roslindale Village offers a taste of city life with restaurants, shops, and cafes including Indian restaurant Shanti, Italian spot Delfino, and the Mediterranean Sophia's Grotto. With the new development around Adam's Park the neighborhood continues to evolve and grow. 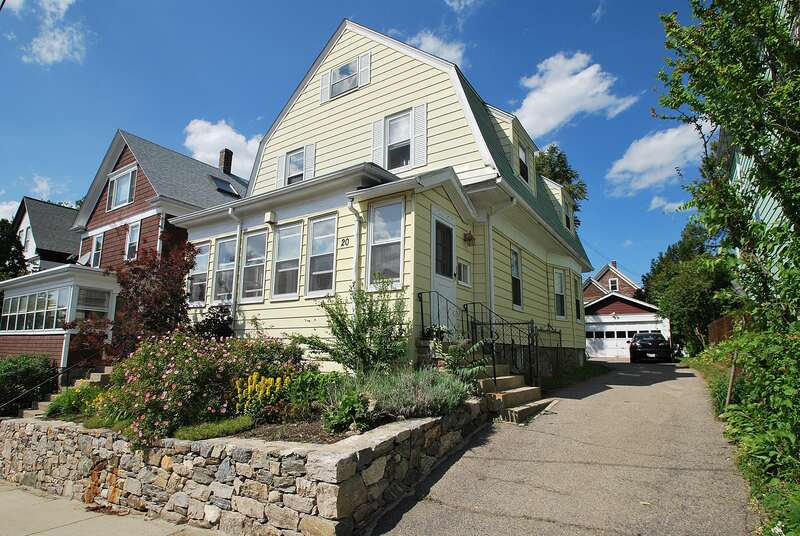 Roslindale's housing stock is diverse and interesting as the community itself. Today the housing stock runs the gamut from updated single-family and two-family homes to condominiums, suburban Colonial homes and traditional triple deckers. 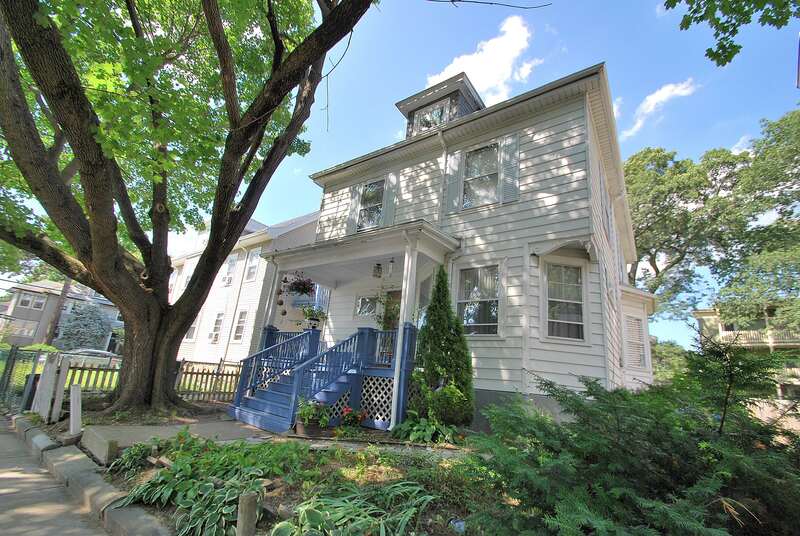 The area around Roslindale Village's bustling shops and restaurants includes pristine storybook bungalows, sunny and spacious Colonial single family homes and updated condos in multi-family buildings. The area around Metropolitan Hill is an urban oasis with easy access to downtown Boston and the areas parks and recreational facilities. Through the area you will find homes that offer in-demand features like off-street parking, private deck space and yards - with an easy commute to the city center. The Needham Line of the MBTA Commuter Rail stops at Roslindale Village Station, from which you can also catch the 14 bus to Heath St, the 30 to Mattapan Station, the 35 to Dedham Mall, the 36 to the Charles River Loop, the 37 to Baker and Vermont Streets, or the 51 to Cleveland Circle. All of these but the 14 also go to Forest Hills Station, the closest subway stop on the Orange Line. There are dedicated bike paths on the main thoroughfares of Roslindale: Washington Street, South St., Corinth and Belgrade Aves. 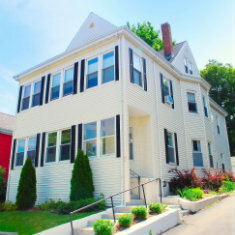 Roslindale is close to Route 128, and is less than twenty minutes from downtown Boston by car. The Roslindale neighborhood of Boston is located in Suffolk county. Roslindale's ZIP code is 02131.